Some British politicians have got things a bit wrong when trying to highlight Ireland’s tough stance on Brexit negotiations. OVER THE PAST few weeks, UK politicians have been lining up to criticise Ireland for its Brexit stance. Brexiteers – in the Conservative party, in Labour and in the DUP – want Britain to leave the single market and customs union, and see the Irish government’s attempts to avoid a hard border as denying them the kind of Brexit they want for the UK. While making their point in various TV spots, and radio interviews, however, some of them have demonstrated little knowledge of the current political landscape in Ireland, while some have got things spectacularly wrong. Iain Duncan Smith has been in politics for nearly 40 years. He was leader of the Conservative party in the early-2000s. Appearing on Channel 4 News on the same show where English people were asked to draw the Northern Irish border, the veteran Tory was asked about the potential for Ireland to veto trade talks with the EU if a border solution wasn’t found. Now, as this was going on around the same time as the Frances Fitzgerald controversy, which had only been solved by her resignation earlier that day, Duncan Smith could perhaps have been forgiven for not being up to speed yet. But, no, that’s not what he meant at all. Well no, the presidential election is coming up. And of course the key point about that is that the present government is worried about Sinn Féin so I think there’s a lot of showboating going on in Ireland. The potential for a presidential election next year has little bearing to the government’s stance on Brexit, however. Iain Duncan Smith showed that he didn’t misspeak on Channel 4 with a doubling-down of this point in a BBC interview earlier this week. 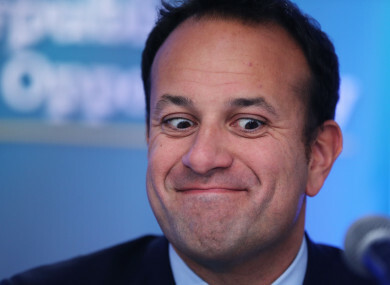 In an interview where he warned the EU to “back off”, the former Tory leader reaffirmed his opinion that Ireland’s harsh Brexit stance was due to the potential for an upcoming presidential election. Where do we start with this one? Tory MP for Harwich and North Essex Bernard Jenkin got things badly wrong in a Sky News interview earlier this week. If you listen to Bertie Ahern, if you listen to Enda Kelly – these are two former Taoiseachs, Prime Ministers of Northern Ireland – they haven’t quite played ball like the present Irish Prime Minister. He didn’t even misspeak. He referred to both Ahern and “Kelly” as former Prime Ministers of Northern Ireland again later in the interview. Conservative MP Jacob Rees-Mogg is an ardent Brexiteer, critical of Theresa May’s policies, and an advocate of ending free movement and leaving the single market and customs union. He also got a bit confused about the Fitzgerald controversy, speaking on BBC’s Andrew Marr Show like an election was still on the cards, a full five days after she resigned. Here’s what he said: “Irish politics at the moment are quite complicated as you know. There’s a vote of no-confidence in the Deputy Prime Minister. They are worried about an election. I think the Irish border has become a matter of Irish immediate political concern in the run-up to a potential general election, and the strength of Sinn Féin and the Prime Minister of Ireland is concerned about that. Labour MP Kate Hoey recently said that she had “seen a lot of negativity from the Irish government” in the Brexit negotiations. Hoey said that there was “absolutely no way” that the UK would leave the EU but somehow keep Northern Ireland separate. “So, obviously we want to not have a hard border,” she said. Although I would remind listeners that I suppose the really hard border was there when the IRA was doing some appalling things along the border. We’re not the ones who are going to be putting up the physical border. At the end if this ends up with a no deal we won’t be putting up the border, they’ll have to pay for it. Earlier this week, former Conservative Minister and now-BBC pundit Michael Portillo wound up a fair few people with his comments about Ireland keeps “messing up” things for Britain. This goes back a little further, but these comments from David Davis, the UK’s Brexit Minister and chief negotiator with EU, set a kind of tone. Here’s what he told Sky News after the vote last year when asked about whether Scotland could have a veto on leaving the EU: “I don’t think that works. One of our really challenging issues to deal with will be the internal border we have with southern Ireland, and we are not going to about creating other internal borders inside the United Kingdom. Email “'Enda Kelly' and 'presidential elections': The recent missteps from UK politicians on Ireland”. Feedback on “'Enda Kelly' and 'presidential elections': The recent missteps from UK politicians on Ireland”.